Brian spent eight yeas at the collegiate level with both men and women at schools like Stanford University where he helped coach the team to the 2004 National Championship. Ramirez also coached Pima Community College for four years. 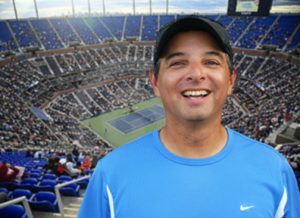 During his career he has also had the pleasure of working with some of the worlds’ best junior players and pro players while at the Palmer Tennis Academy in the late 90s. Palmer Academy was known internationally as one of the worlds’ premiere academies during that time.